The appalling report made us all grimace, but even turned some of our stomachs. She had left our home with one of our American friends because the contractions indicated labor had started. It was her second pregnancy. We thought little about the process. 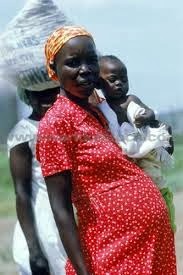 In our naivete we assumed that delivering a baby here in Africa must be about like delivering a baby anywhere. When our American friend returned she came with a horror story ... and with tears held back at the clinic. The doctor was impatient, rude, and verbally abusive. He even slapped the delivering mother on the thigh at one point to accompany his rude comment. But, the greatest violation of all came when he pushed the baby out himself. The year was 2007. A dream was born that day. Today it is becoming a reality. Historically, women have not been treated with dignity in Uganda. Often, in various venues, they find themselves trapped somewhere above an animal and below a human being. Things are changing and Next Generation Ministries is participating. Women are life givers. What an esteemed honor. They give birth to the children of the world. Often it is not easy. NGM's dream was to provide a women's clinic to address their health needs in a world in which they had often been neglected or mistreated. Land for the Women's Clinic ... with a house! A dream often seems unreal and it can easily evaporate. I admit that I had given up on it. It was just an idea. The reality of a women's clinic, staff and equipment, seemed insurmountable to me. But, when Lyzette Kasigwa began to touch the lives of some of these neglected, abandoned, and mistreated women through Women In Crisis, the dream was renewed. Last year the wife of our Ugandan pastor went to the hospital to give birth to their third child. It was cold because of rain. The birthing room was full of women in labor. There was only one nurse for all of them. She couldn't be bothered with Helen. When it came time for delivery she tore. Then the power went off. Jimmy held the flashlight as the doctor stitched Helen. But, not before he had to run through the rain looking for the sutures. When asked if the generator could be switched on they were told, "The man who manages the generator demands money before he will turn it on." Many stories, similar and worse, can be told over and over by the women of Uganda. It is only those with enough financial resources who can afford a private clinic for good and better care. These stories fuel the dream and we look forward to the day when women can give life to their offspring with care and dignity. Recently a rural church, in the Midwest of America, donated funds to purchase land. And the forgotten adventure was given life! The search for appropriate land began, but searching for land is a challenge here in Uganda. Purchasing land without encumbrances increases the challenge. Avoiding deception and being cheated in a land deal tempts one to give up the pursuit. But, glory be to God, after avoiding several attempts to purchase land that turned out to be risky, and equipped with warnings from our lawyer, we found a very nice piece of ground. With a surprise on it! It was not bare ground, but it came with a house on it in pretty good condition! Complete with electricity and water! The piece of ground is long with five plots on it. One week ago today we purchased the property! There are many challenges again for us now, but, at this point in the adventure, we are convinced that it has been the Lord directing our steps. Soon a Christmas Catalog will be posted on the Next Generation Ministries Facebook page. Donations are encouraged so that we can get the clinic up and running as soon as possible. We would love to have you join us on the adventure. Celebrate the land purchase with us and come along with us to see what the Lord will do. We are extremely happy with the progress you are making toward the Clinic. The land purchase calls for a celebration, yeaaaaaa. Thank you Lord. Thanks Jodi and Jeannie for celebrating with us! We are excited to see where the Lord is going to take us and how He is going to impact the lives of some Ugandan women with this clinic. Glory to God for His marvelous works. If Helen is to give birth again i believe this will be the right place for her. Praying for God's blessings and favor upon the clinic and it's progress. Thanks Paul and Pam along with those who gave for making that dream a reality. Praise the Lord! Excited to see God working in this beautiful ministry!